Your first stop to discuss anything pertaining to XWA and current events in the fed. Vote for your favorite matches, the best role players, the greatest shows and any other XWA related goodies here! Last post Re: Pirates or Ninjas? 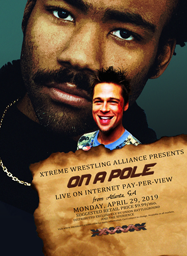 The "XWA Top Ten" Official Discussion Thread! XWA Massacre: February Opt-In Thread!